A new open source tablet has been designed called the Root 101 to provide a more hands on approach to owning a tablet device, allowing you to easily modify the device to suit your needs. The Root 101 tablet has been designed to offer users the most open soruce system and affordable Android tablet available says its creators. 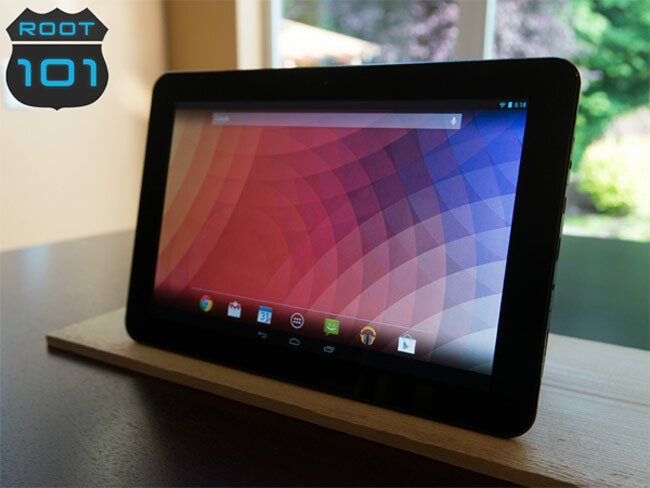 Watch the video after the jump to learn more about the Root 101 tablet project and see it in action. The Root 101 tablet is powered by a AmLogic AML8726-MX Dual-Core 1.5GHz processor and Mali-400 Dual-Core GPU supported by 1GB of RAM with 16GB of internal memory. The Root 101 tablet is currently over on the Indiegogo website looking to raise enough funds to make the jump from concept to production so if you think the Root 101 is something you could use, jump over to Indiegogo now to make a pledge and help the Root 101 become reality.